When Busy and I together with our friends went to Taiwan, we flew with Eva Air. We usually book our plane through budget airlines but this time we choose Eva Air. 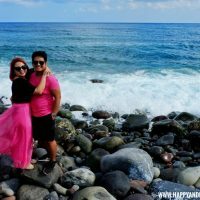 Aside from they are a 5-star airline, here are 3 reasons why did we choose to fly with Eva Air when we went to Taiwan. 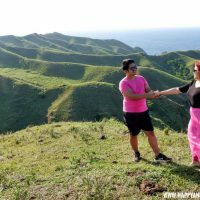 We bought our discounted plane tickets at a travel fair. 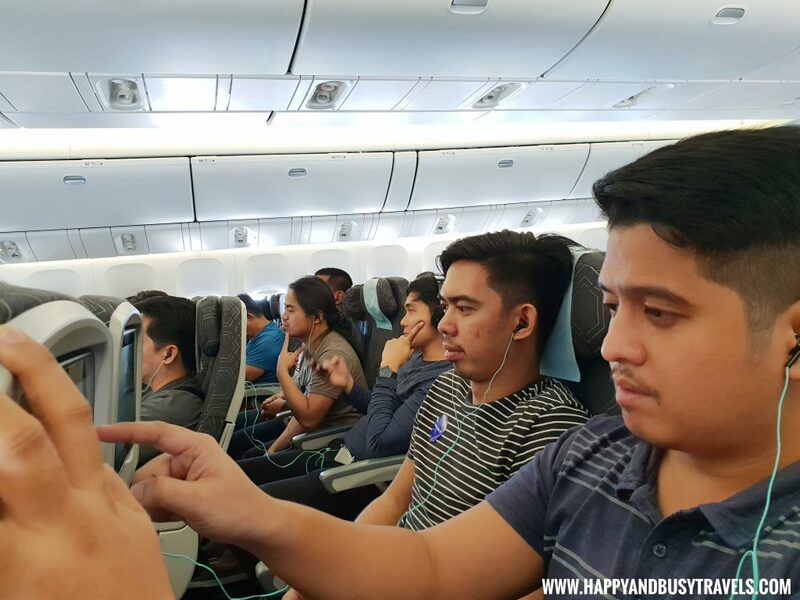 Compared to the discounted plane tickets from budget airlines, the price is just the same. Prices above are roundtrip prices already ? Baggage allowance is 20kg for budget airline and 30kg for Eva Air. Both airlines allowed us to bring 2 hand carry per person. I even had a lot of hand carry because I need to shop inside the airport ? Another thing to consider is the time of your flight. Flight schedules of budget airlines is usually late at night or very early in the morning. But with Eva Air there is a lot of choices. You may have to pay more in your hotel transfers if you arrive in these unusual hours. ? 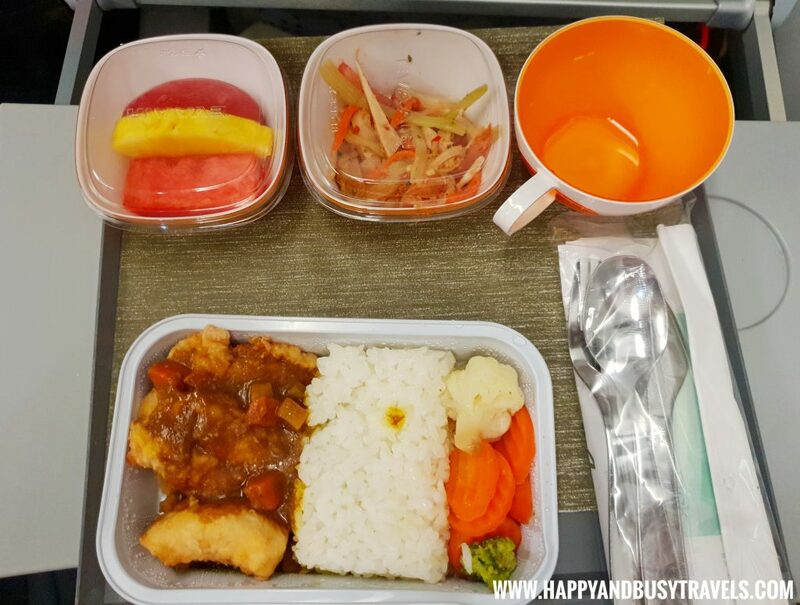 In our flight going to Taipei, here is our meal. 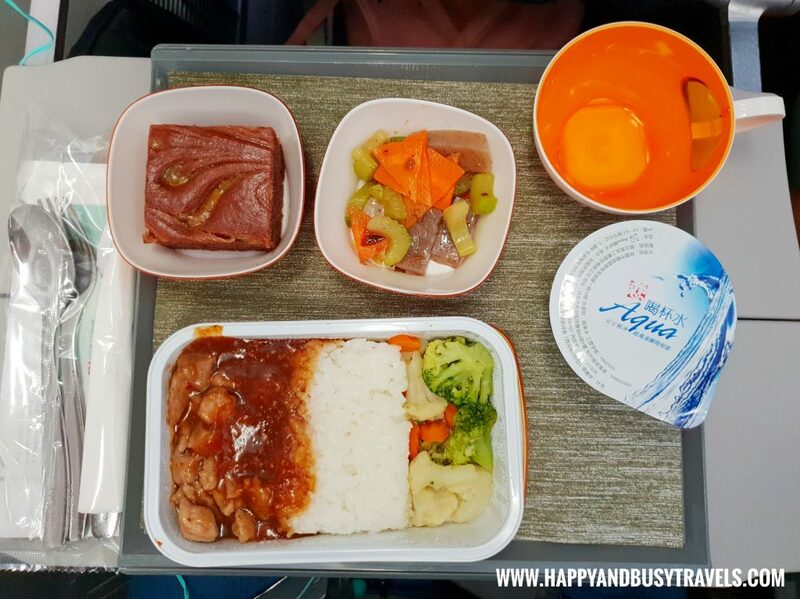 Here is our meal in our flight back to Manila. The mug is for water, coffee, or tea. You can ask for more drinks if you want to. The meal is always complete from appetizer, main dish, and dessert. Plus we get to eat using metal utensils, which is good for the environment. Tissue paper, wet tissue, and toothpick were also provided. Big Eva Air planes has a screen on each chair, so we got to do anything we want. Here is one of our friends choosing the movie he wants to watch. Wifi is also available in the plane, you just have to pay a corresponding fee. Each passenger will be given new earphones for sanitary purposes. 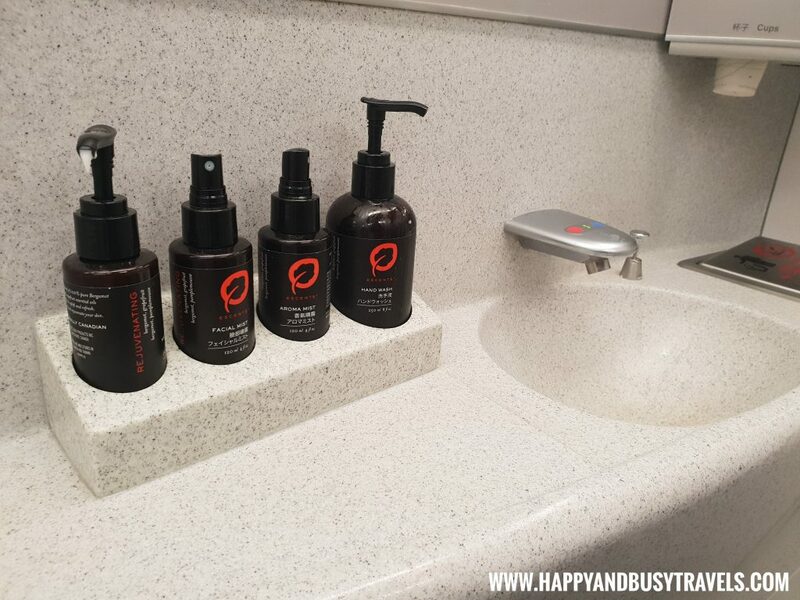 Plus the lavatory has lotion, facial mist, aroma mist, and hand wash! Hot and cold water was also available! Paper cups were also available if you wanted to brush your teeth. 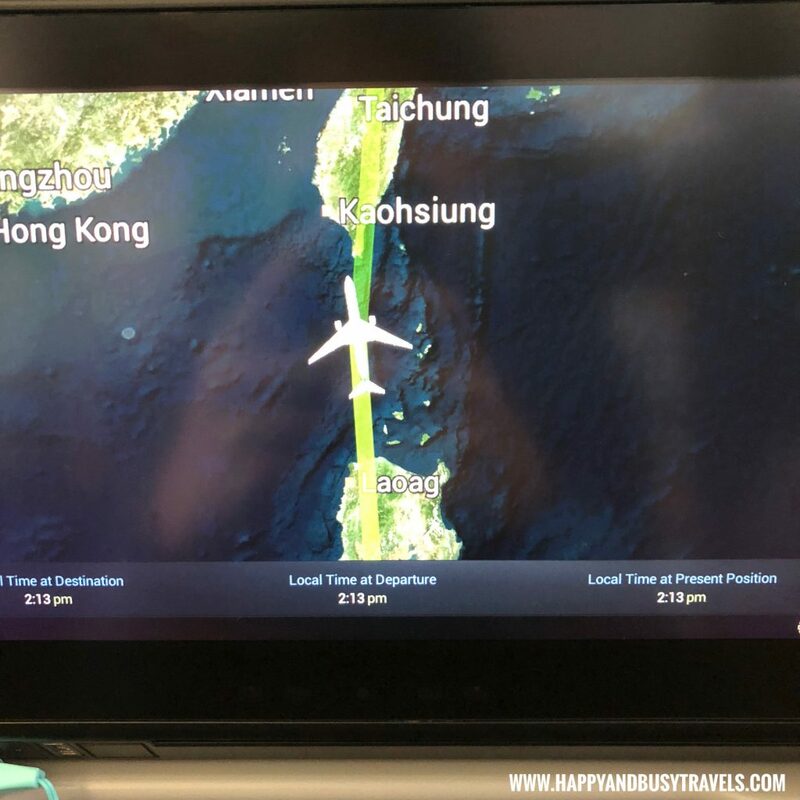 If you also wanted to know where the plane is exactly located, it is also available through the screen. 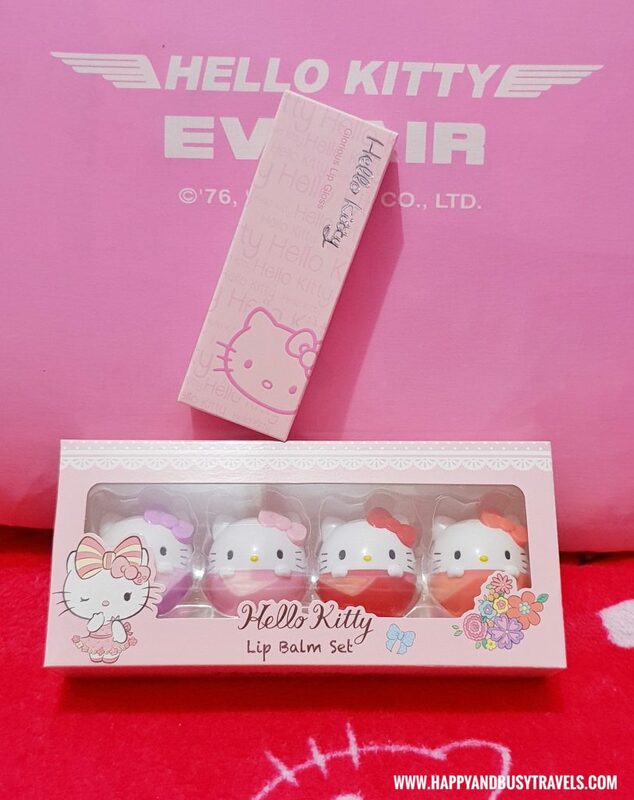 As a Hello Kitty lover I really love flying with Eva Air! In Taiwan, their terminal is in Terminal 2 of Taoyuan Airport. 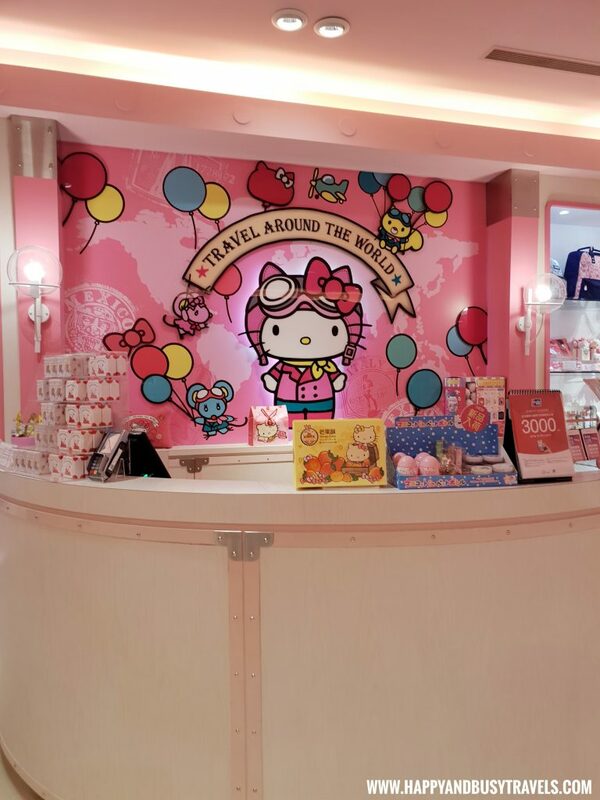 The check-in counter in Terminal 2 was in full Hello Kitty! 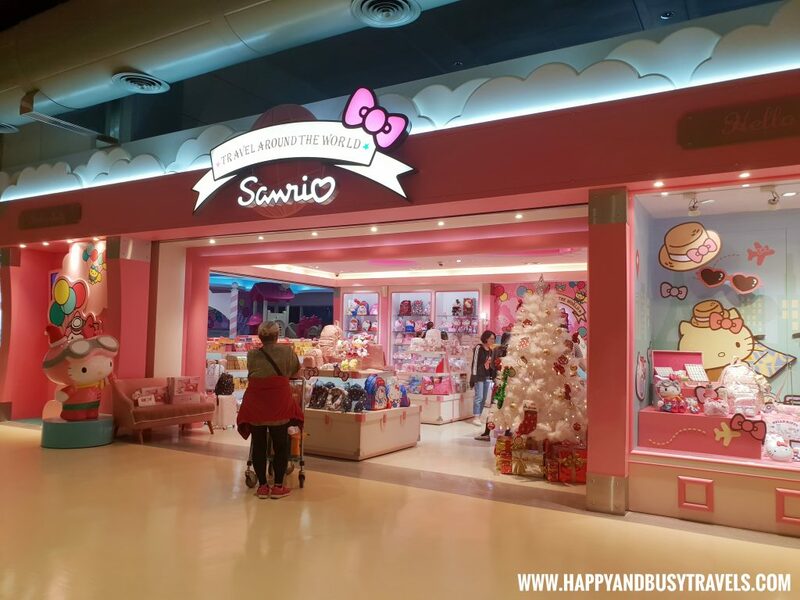 A Sanrio store was also in terminal 2! ? 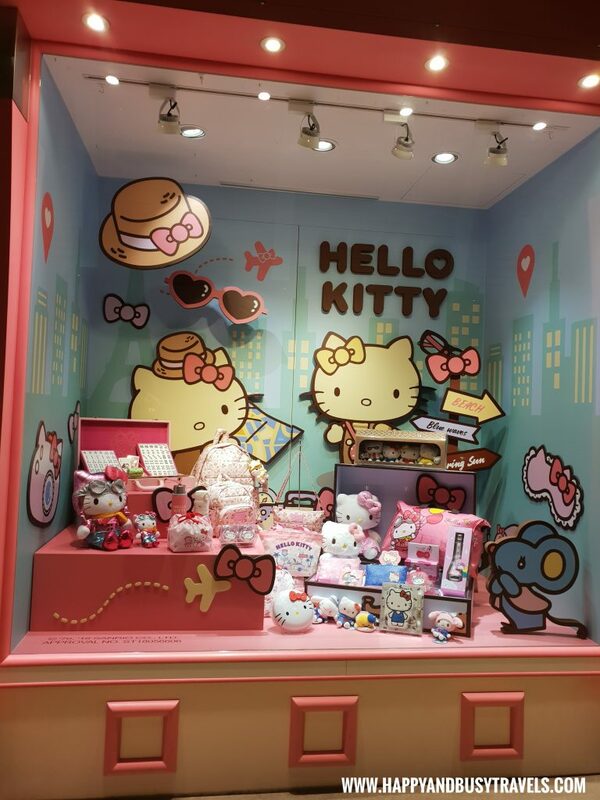 Aside from the Sanrio store, there were a lot of Duty Free stores inside that sells Hello Kitty products! I even bought lipsticks and lip balms! ? 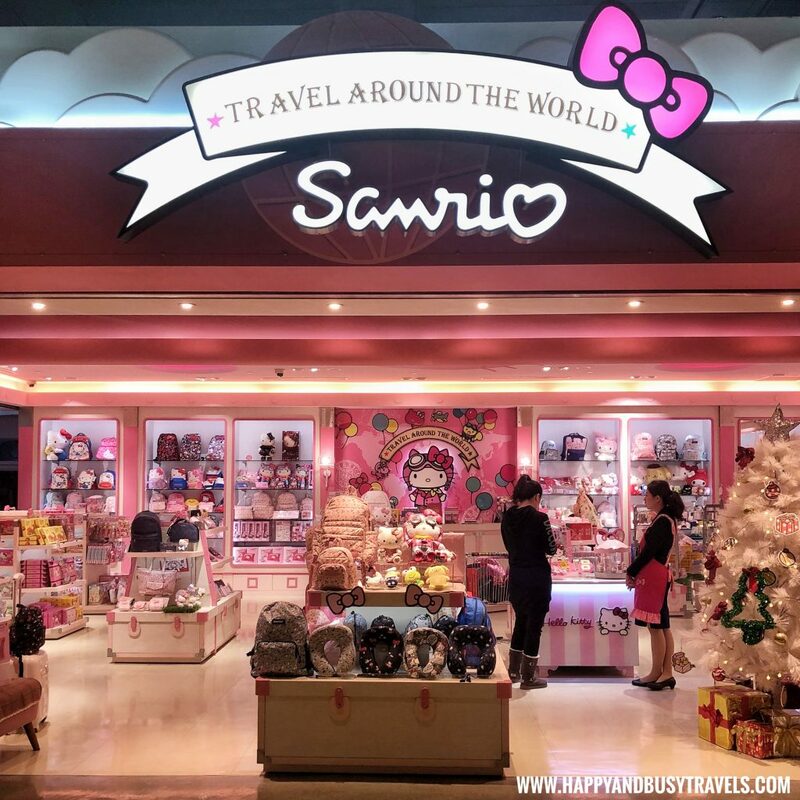 If we just found the Sanrio store earlier, I might bought a lot! hahaha good thing our plane already announced boarding. 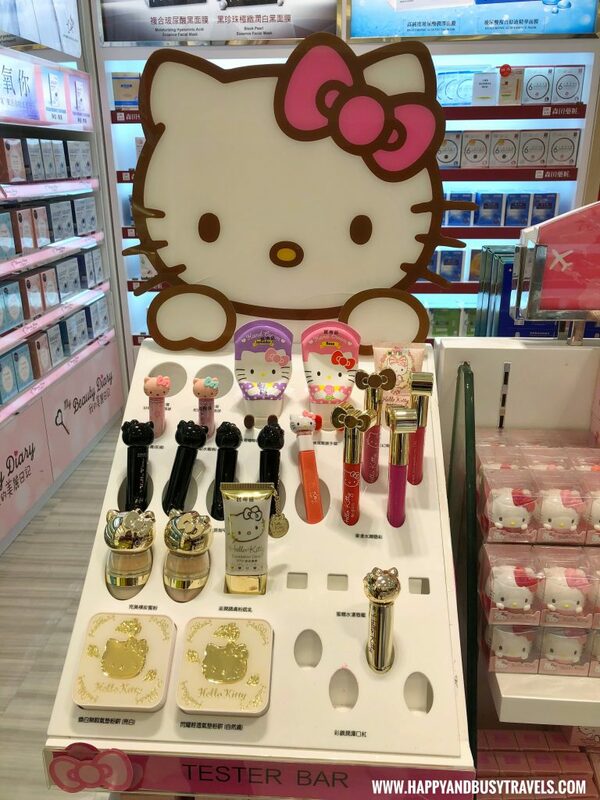 Hello Kitty items were also available in the plane’s catalog. 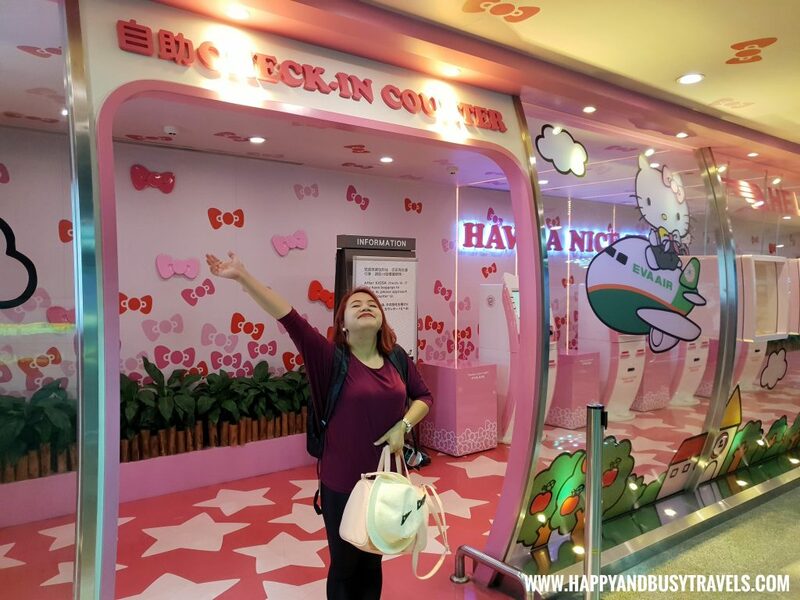 There were Hello Kitty boarding gates in terminal 2! Eva Air also has a plane with full Hello Kitty. Unfortunately there is no Hello Kitty plane travelling from Taipei and Manila. Lastly, just look at the baggage sticker ? it is still in Sanrio! I have to give 5 smileys! 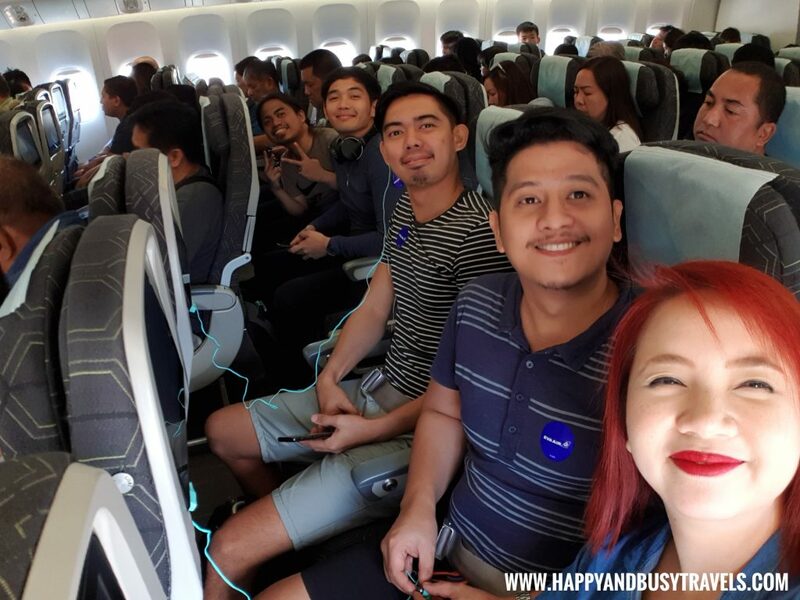 Because our experience with Eva Air was awesome! 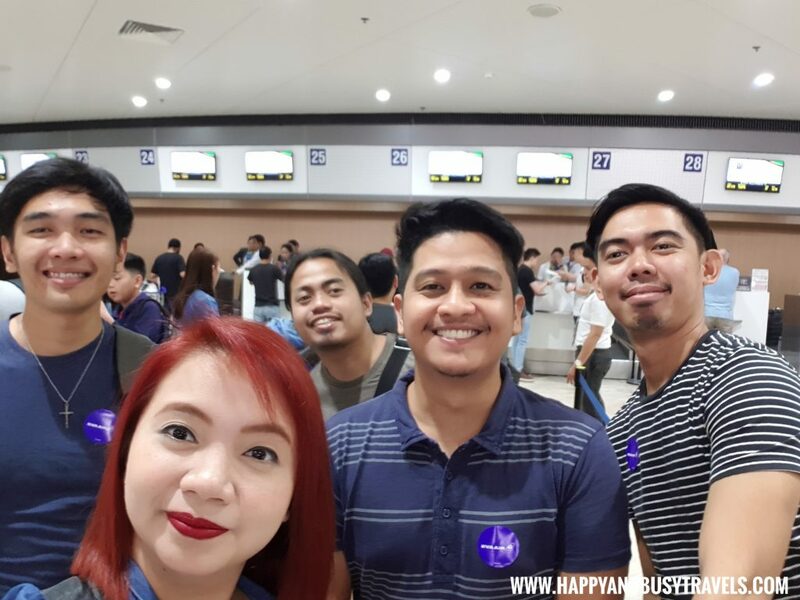 We did not have any delays or any difficulties in our flight. First time ko maencounter ang Eva Air. Korean Air lang alam ko haha. Buti naman metal utensils yung gamit nila, very eco-friendly. 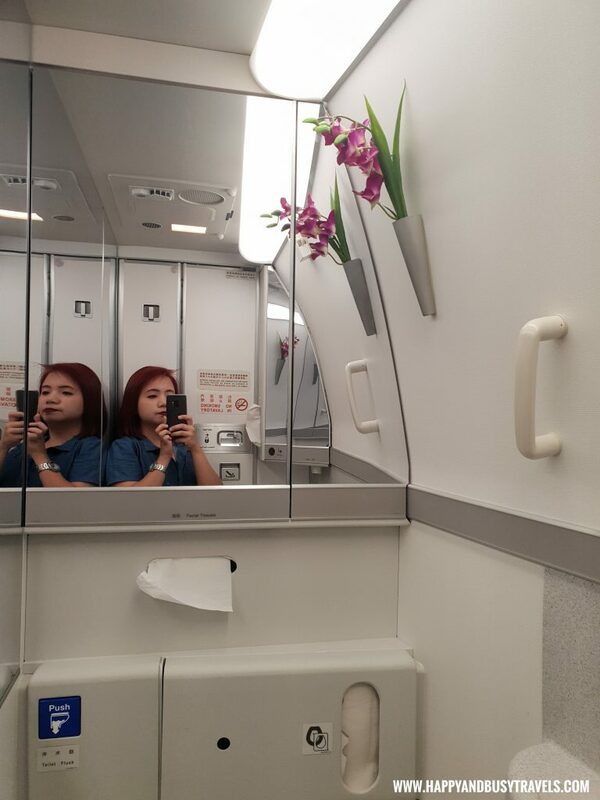 Pag nasa airplane ako, lagi din ako nagpupunta sa restroom. Gusto ko lang makita kung anong ichura sa loob haha. 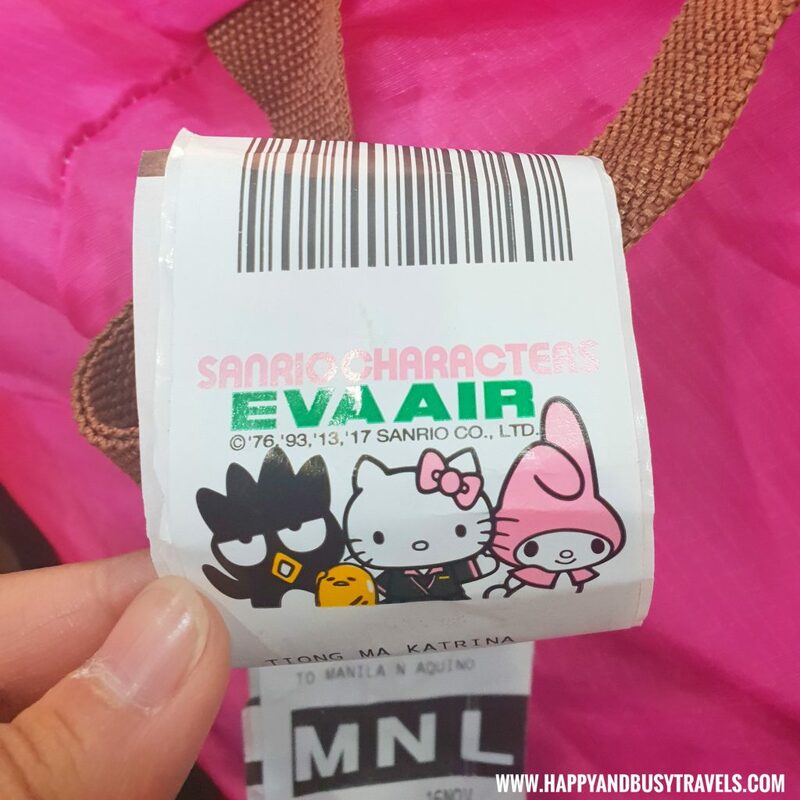 Eva Air is one of the first airline to get the license agreement with Sanrio. This is one of the best airline! 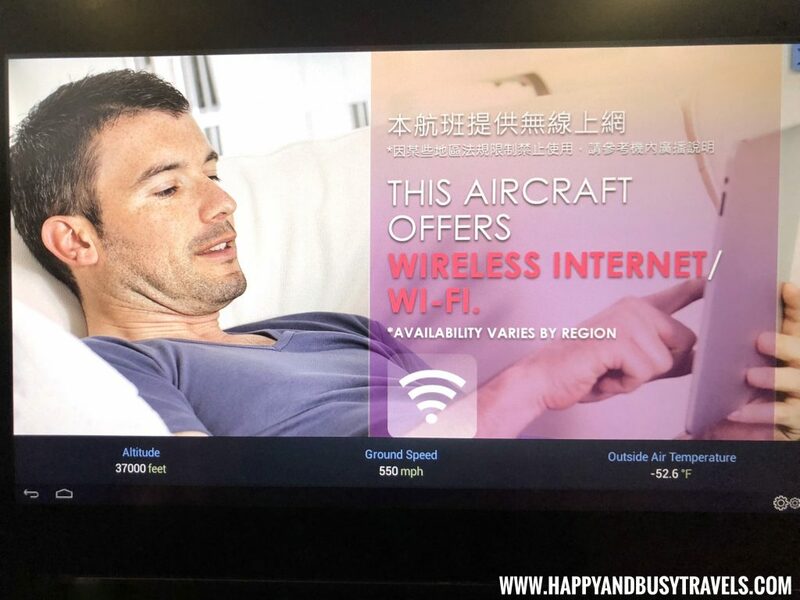 This is the first time that I read about Eva Air and i might say that they have cool amenities and they are a bit cheaper compared with other airlines. 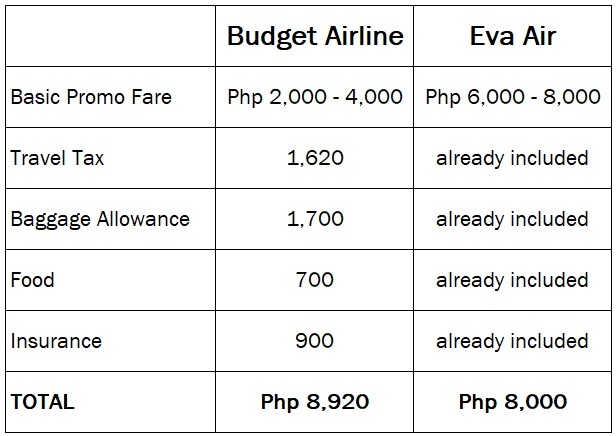 Wow parang bago tong Eva Air? saka yung food nila it looks so sumptuous. Saka ok din yung rates nila everything is included mas mura pa kesa sa budget arlines. DO they also offer mga sales promo, life cebu pac and pal? ?